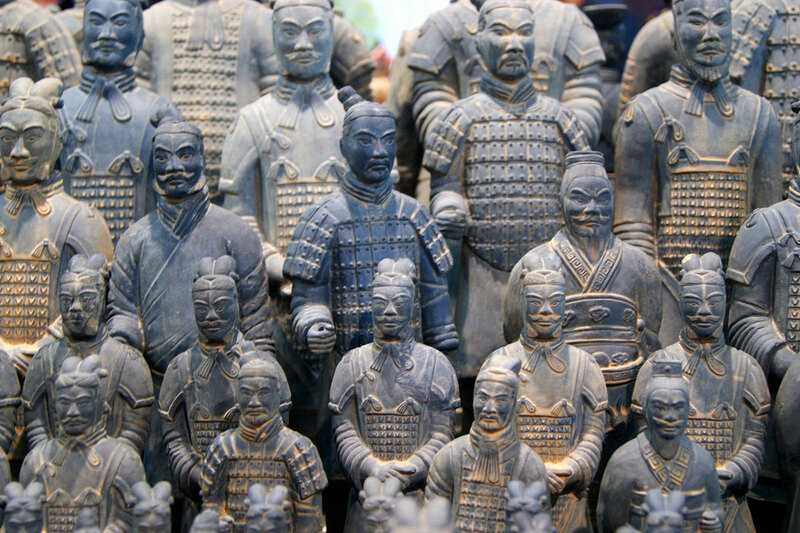 Terra cotta Warriors and Horses Museum. Xi'an. 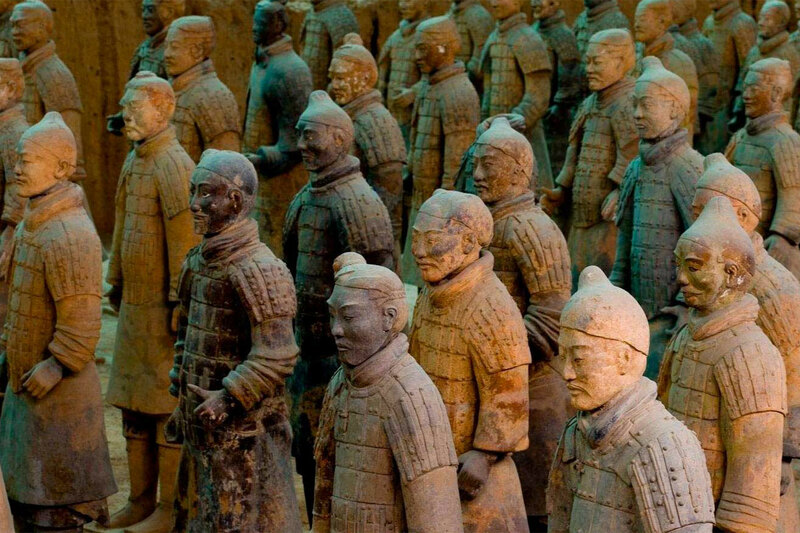 Tours to China. Travel to China. China. Legend tour. 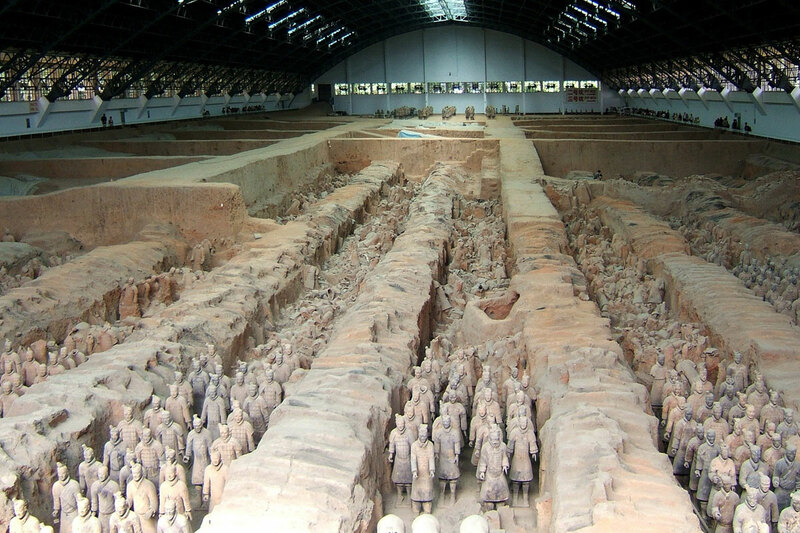 Terra cotta Warriors and Horses Museum. Xi'an. 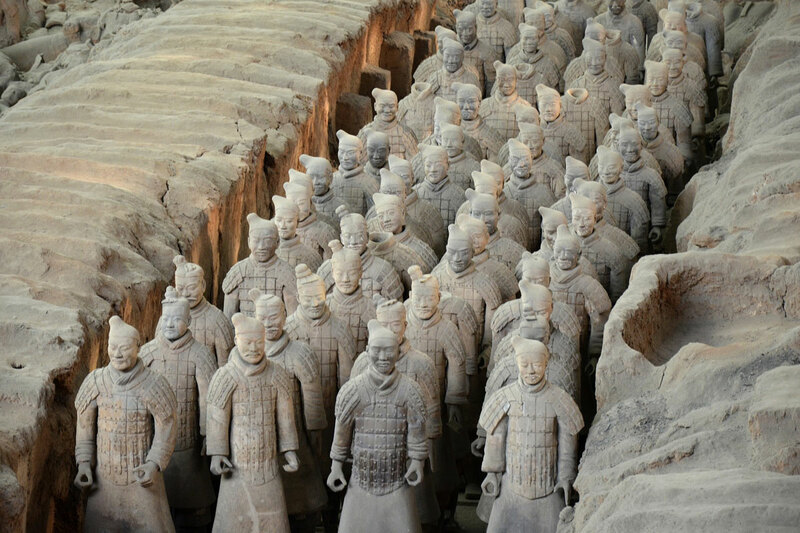 Terra cotta Warriors and Horses Museum is located about 1.5 km east of Emperor Qinshi Huang’s Mausoleum. It is an attendant pit of the mausoleum. Among the three pits, No.1 pit is the largest one. 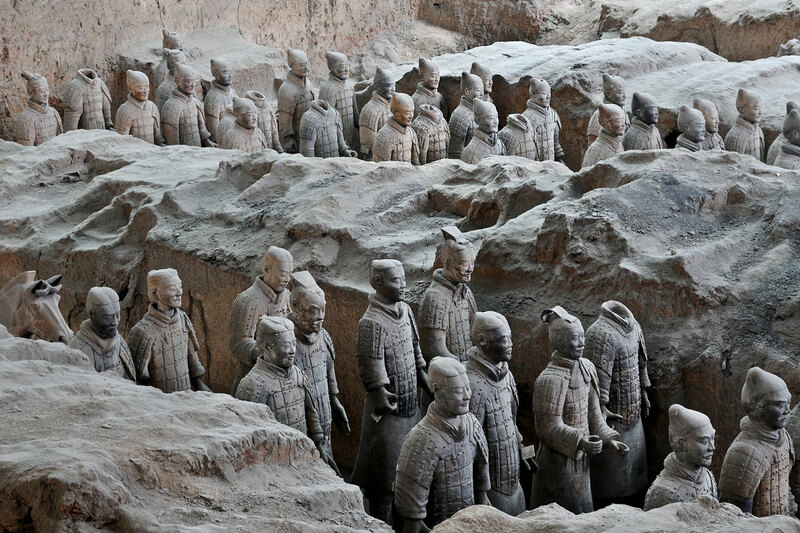 More than 6,000 clay warriors and horses could be unearthed from No.1 pit. All of them are life-like. 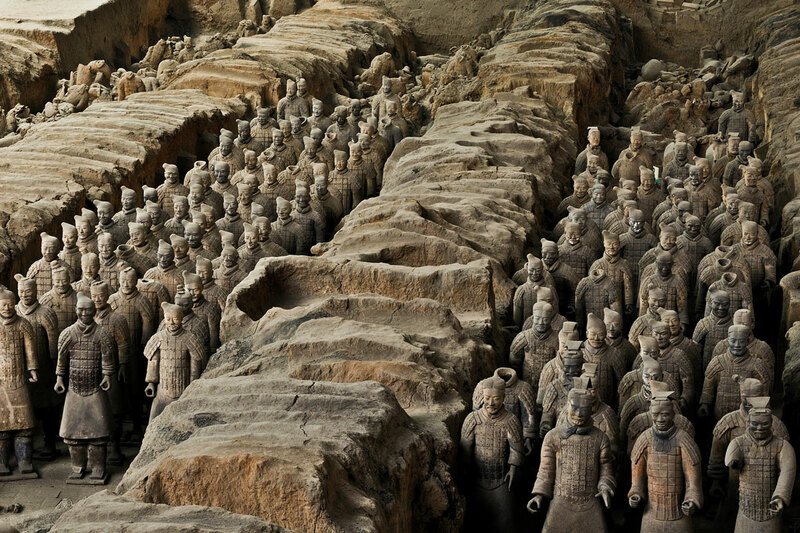 The terra-cotta warriors and horses are arrayed in an oblong battle formation of the Qin Dynasty, facing east, they look healthy and strong and have different facial expressions, showing Emperor Qingshihuang’s Strong determination of wiping out the other six states and unifying the whole country. 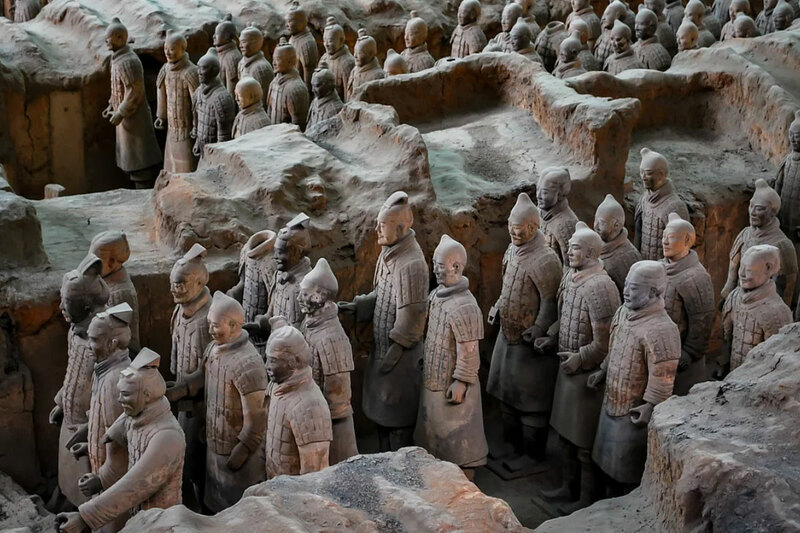 It is the most magnificent archaeological discovery in this century. 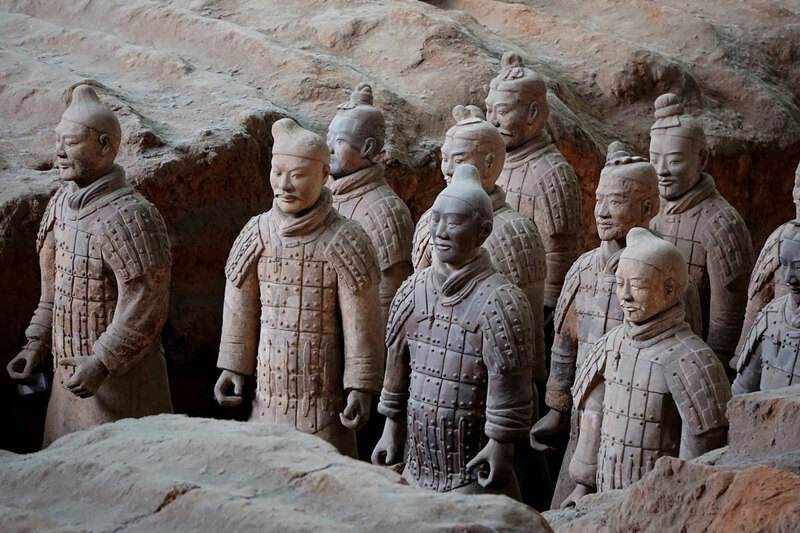 It is also a reflection of Chinese people’s wisdom and artful skill two thousand years ago. 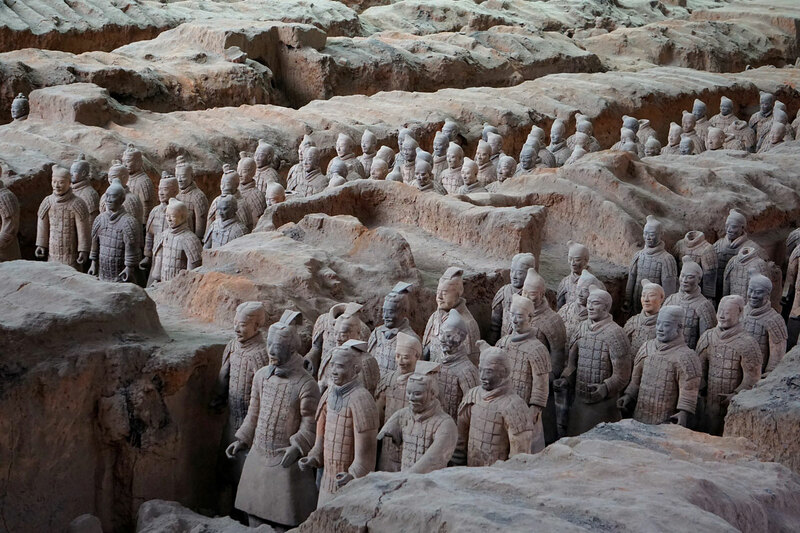 Thousands of real weapons were unearthed from these terra-cotta army pits. These weapons were exquisitely made. Some of them are still very sharp since their surface were treated with chromium. They are as bright as new, though buried underground for more than 2,000 years. 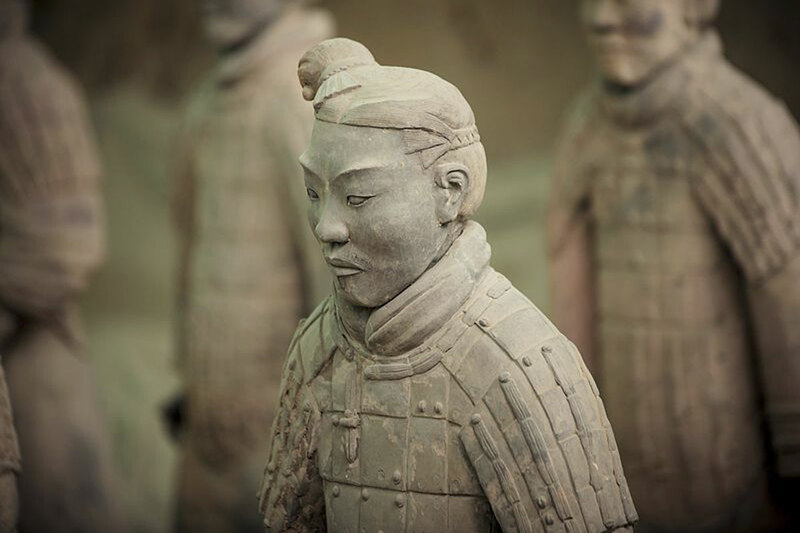 This indicates that Qin Dynasty’s metallurgical technology and weapon-manufacturing technique already had reached quite a high level. In 1980, two teams of large painted bronze chariots and horses were unearthed 20 metres west of the mausoleum. 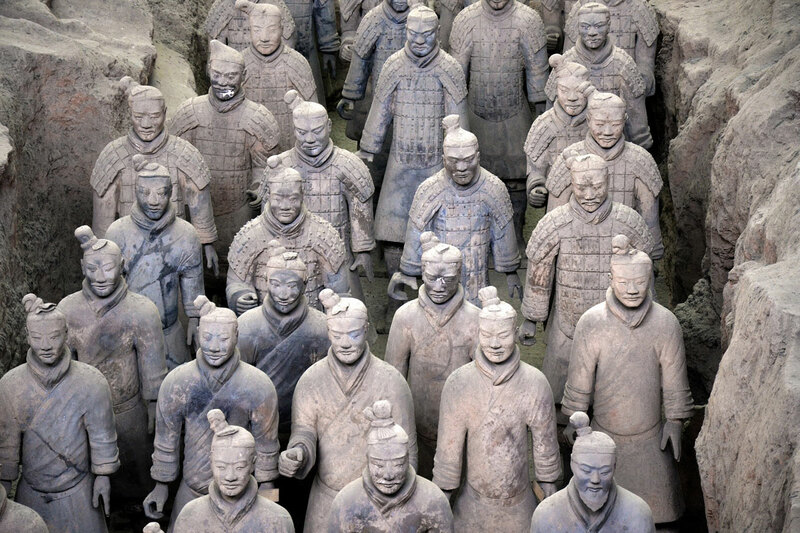 Together with Terra cotta Warriors, they are called the eighth wonder of the world. Photo. 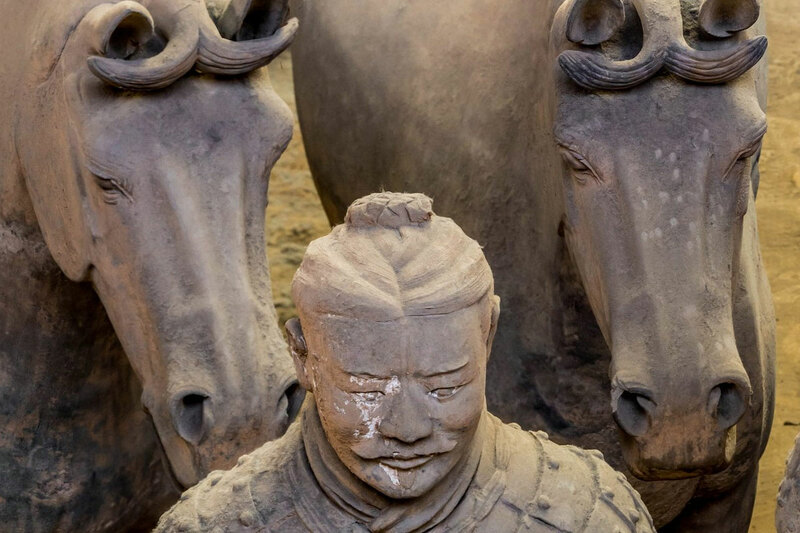 Terra cotta Warriors and Horses Museum. Xi'an.